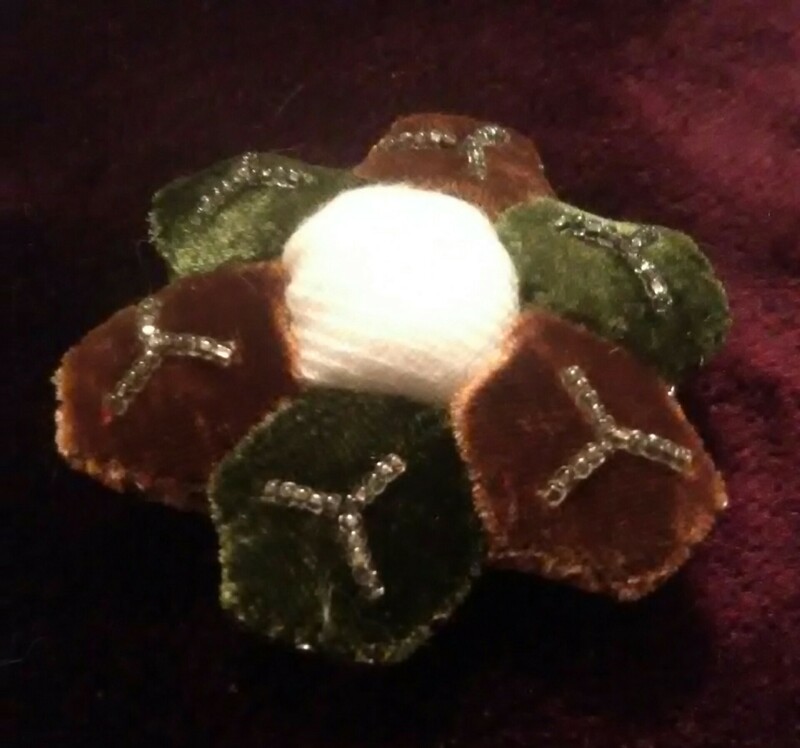 A velvet pin cushion in nearly the same shape as the wreath, just with a center piece. 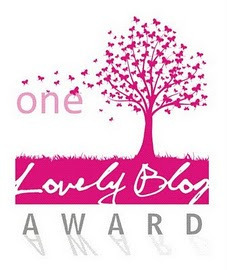 Well, let’s see…. we have tiny pieces, velvet, little stitches, and cute bead-work. Of course, I am going to have to make this thing. My version uses a silk/rayon blend pair of silks in forest green and russet brown. I really like how the velvet looks around the paper base. It does get pretty bulky on the back though. 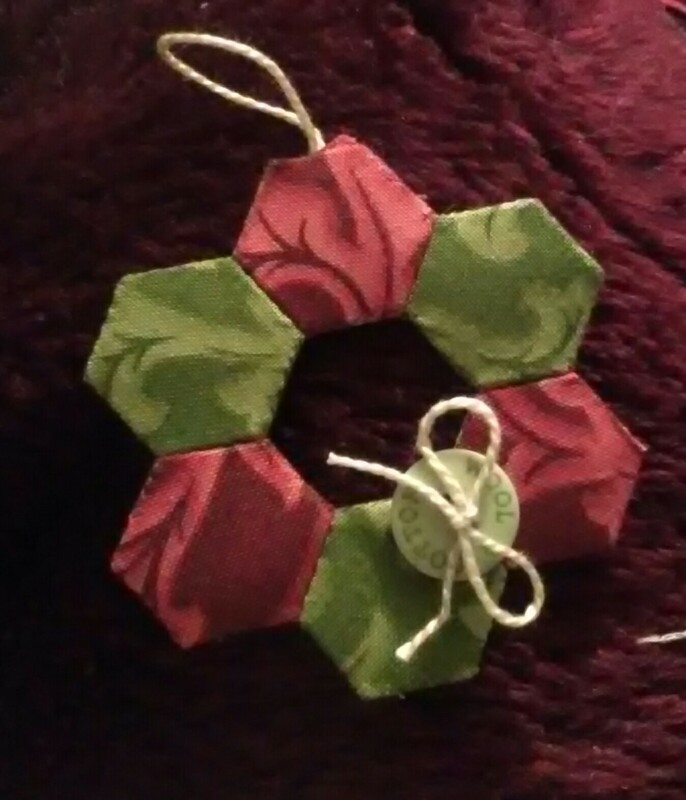 Mine came out larger, 2 1/2″, using the same hexagons as the wreath. 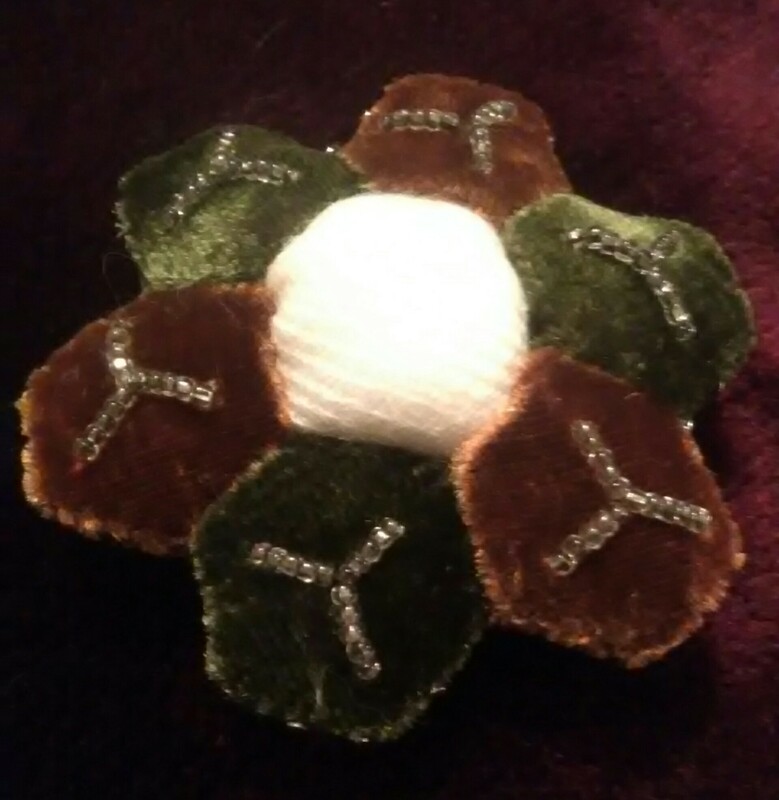 I made two changes: The center is wool and packed fuller with batting rather than a fabric over a paper base. 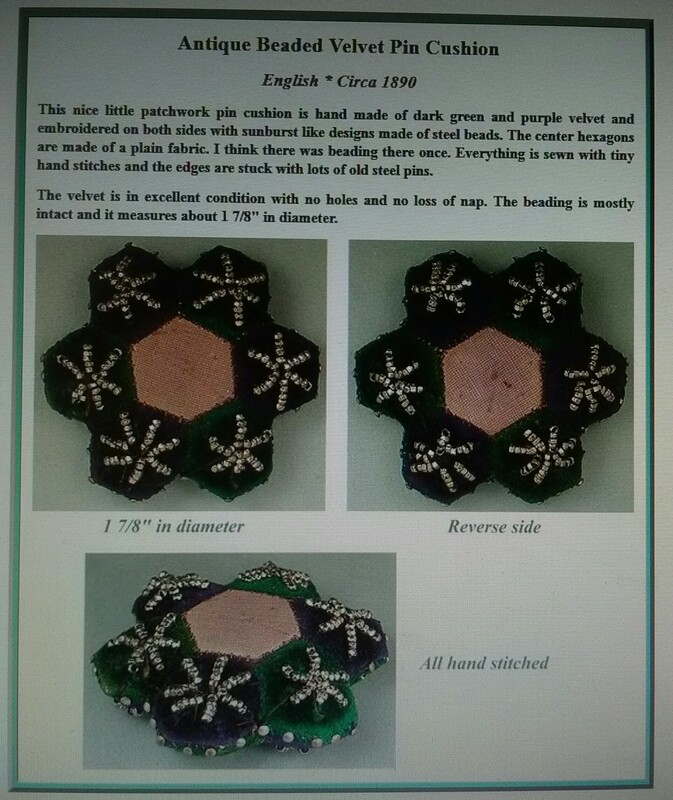 This way the center could be a pin cushion as well. I am so-so on how much I like that. I set the beads in trios rather than fives because i am a bit tight on beads.